Manufacturing in Manchester, England since 1951. Now celebrating 8 years online. What makes a sofa a Chesterfield Sofa? 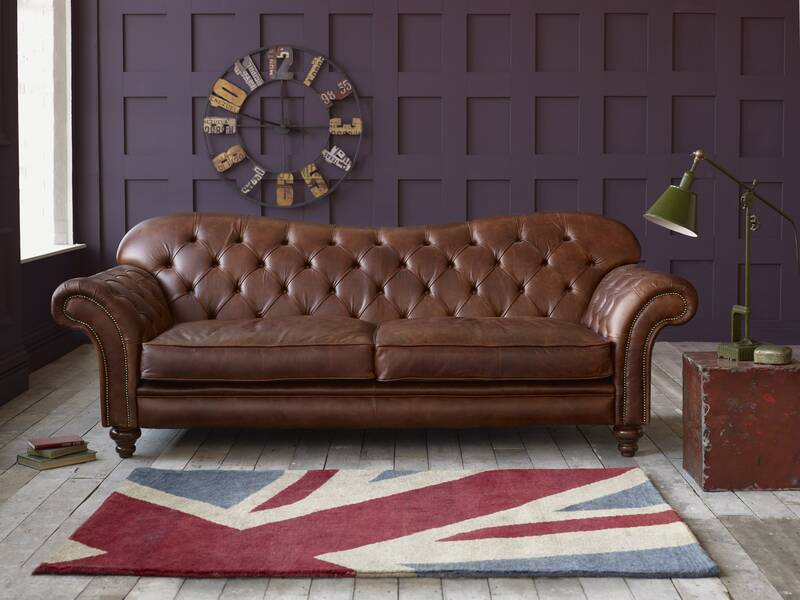 Chesterfield sofas apparently originated in the 1700s when Lord Phillip Stanhope, the 4th Earl of Chesterfield, commissioned a leather sofa to be made that had a distinctively low seat base and deep buttoning. Since then, a variety of Chesterfield sofa designs have been created, but all have the same distinguishing features. One of the main features of a Chesterfield sofa is that the back and the arms are the same height. This isn’t always the case, such as for our Arundel. However, the majority of models will feature this distinctive design element. This key feature helps to give a Chesterfield sofa its grand look and unique style we all know it for. The low seat may not seem appealing at first; some may think that if you go back in time in terms of design, then you sacrifice comfort. However, this isn’t the case. The low seat base means that the arms and back are at a good height, and offer some support for your back. We also offer cushion seat versions of our models, so if you think a more traditional button seat might not be right for you, you can add a modern touch but keep the characteristic Chesterfield sofa look. And now on to the main feature, when you think of a Chesterfield sofa, the deep buttoning comes to mind. It’s a distinct look, one that although might look traditional, can actually look great in a range of styles. Deep buttoning, pleating and studding a Chesterfield is a long a tricky process, so we’re glad to say that all of our sofas are made by hand in our Manchester and Lancashire factories. 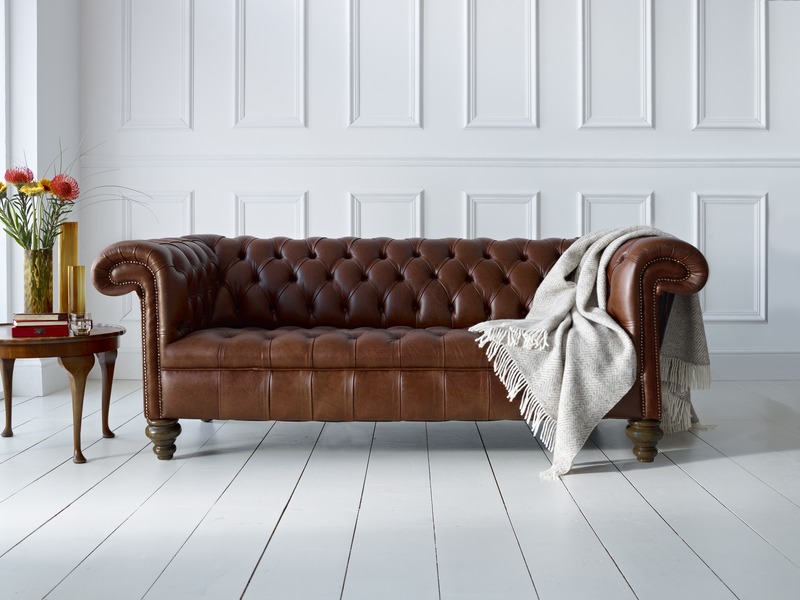 Having a Chesterfield made in the UK means we can guarantee the quality of your new sofa, and it adds to the authenticity of the historic design. Of course, it’s not just the design that attracts people to a Chesterfield sofa. Every good sofa needs a strong frame, that’s why we only use the best hardwood frames, made by our expert craftsmen. 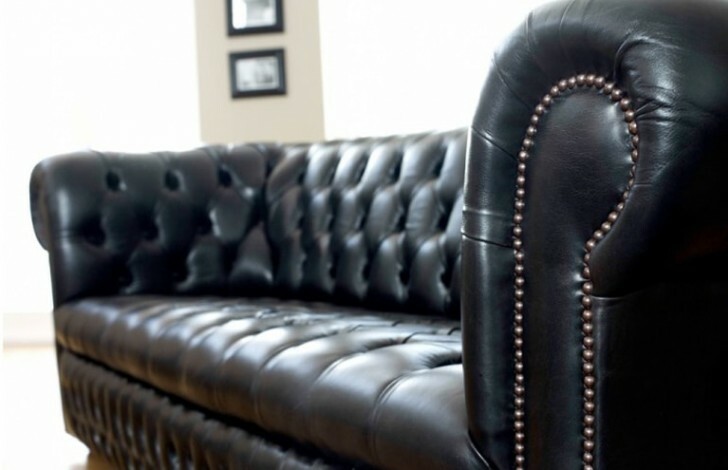 This strong frame means that you can have the grandeur of a Chesterfield for years to come. It’s not just the frames that are known for their quality, either. All of our materials, from the serpentine springs to the premium leather, are of the highest quality. Our Serpentine Springs combined with luxurious foam filling ensure that your deep buttoned seat will be exquisitely comfortable and built to last. If you opt for a cushion seat Chesterfield sofa, we offer a range of fillings to suit you, which offer a variety of firmness. Our leather range offers a mix of styles and textures. The full grain leather offers a durable and uniform look, and is great for pets and children. The Antique range offers similar durability, but gives your sofa a vintage look, which is very fitting for a classic Chesterfield model. If you’d like the classic, natural look, then our Vintage leathers are the best fit. They feature natural markings and show a natural texture, adding to the antiquated feel. Our premium aniline leathers are the softest, and will have a natural look but without the scars of the vintage leathers. Create your own ideal Chesterfield sofa on our website, safe in the knowledge that you’re getting an authentic piece, handcrafted here in the UK.